Which societies can I join to learn more about the First World War? The Western Front Association (WFA) is open to anyone to join and has over 6,000 members worldwide. Subscribers receive regular publications, can attend monthly talks and meetings, and are sent news of events relating to the history of 1914-18. Visit the WFA website for details of your nearest branch. The British Association for Local History is an organisation that aims to encourage and assist the study of Local History as an academic discipline and as a rewarding leisure pursuit for both individuals and groups. There are many family history societies across the UK. Visit the Federation of Family History Societies' website to find your local organisation. The Gallipoli Association's key focus today is education, in particular of the young people from the countries that took part in this tragic campaign. They aim to raise public awareness of the Gallipoli Campaign, encouraging and facilitating study. 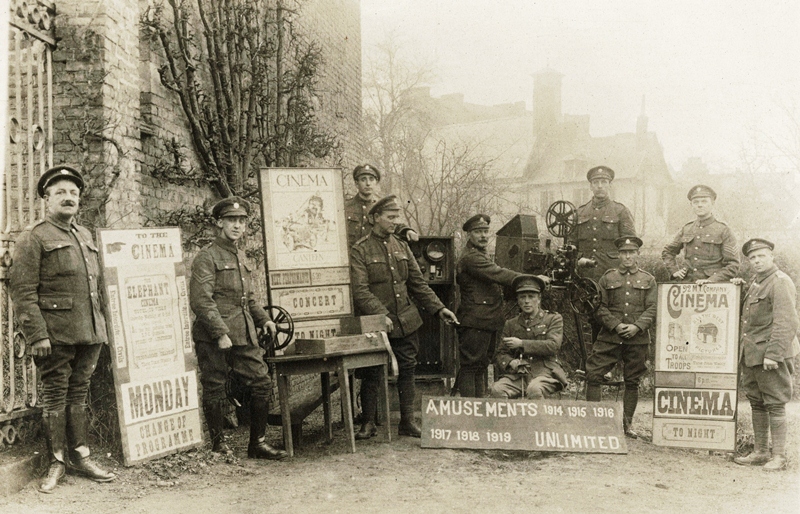 Members of the British Army Cinema Group.